When we build our homes, everything is completely custom and is therefore chosen by the homeowners that we’re building for. So for example, all the paint colors, flooring materials, decking, carpet, tile, lighting, etc, is all picked out by the family that will be living in the home we’ve built. One of the nice things about being a custom builder is that we can do some “fun” things that you might not normally find an a house of comparable size or design: for example, indoor pools, cigar humidors, wine cellars, dance floors, yoga rooms, and much more. 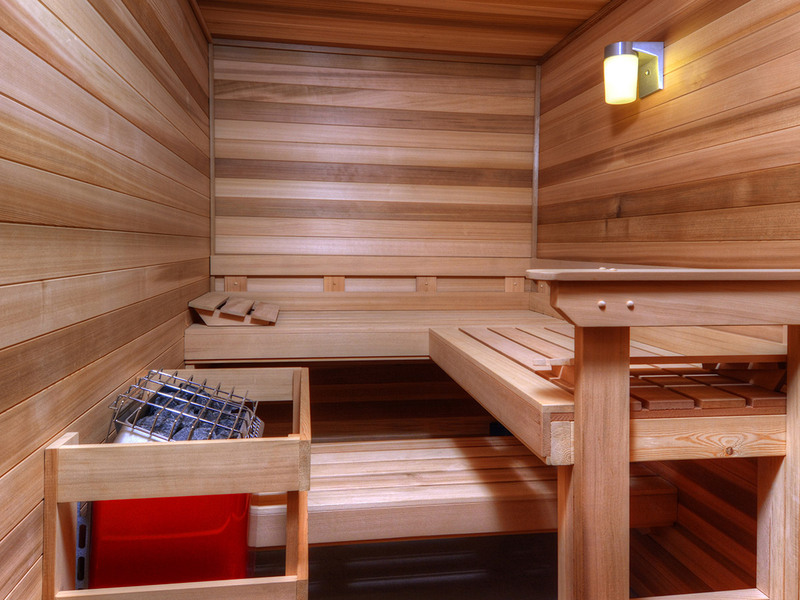 Here’s a photo of a sauna we recently put in a custom home we built in the Black Forest. When you live in Colorado where it snows, it’s nice to be able to take some time and warm up in the sauna when it’s cold outside! If you’ve been thinking about buying or building a home and want to put a sauna in yours, we’d be very happy to talk about doing that for you. Contact us today for a free consultation to discuss your own custom home.